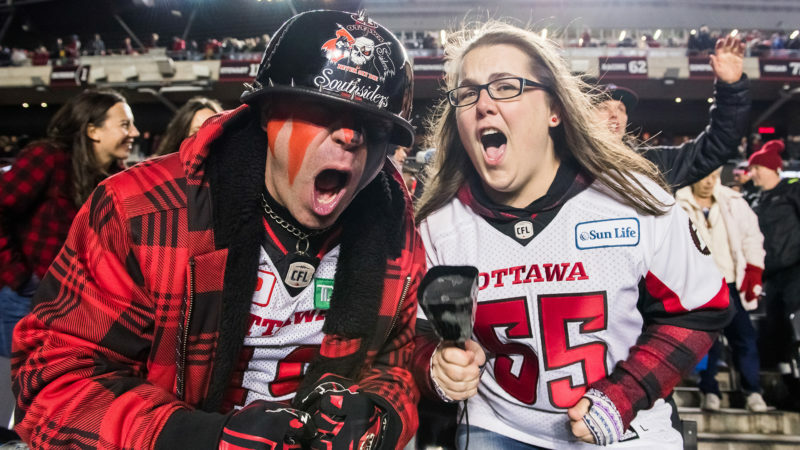 The Ottawa REDBLACKS wrapped up their regular season on a winning note, beating the Toronto Argonauts 24-9 Friday evening at TD Place. The REDBLACKS didn’t concede a touchdown for the second straight week. Dominique Davis and Danny Collins split quarterbacking duties for Ottawa and the former threw the game’s lone touchdown pass. Dominique Rhymes had a good day, accumulating six catches for 101 yards. The REDBLACK defense held their opponent out of the end zone for the second consecutive week. Avery Williams recorded seven tackles and recovered a fumble as he paced the defensive in a dominant performance. Davis guided the offence down the field on their first drive of the game, but settled for a chip-shot Lewis Ward field goal – his 47th straight. The rest of the first quarter was quiet, with teams struggling to win the field position battle. Toronto broke through on their first possession of the second quarter, with Drew Brown hitting a field goal from 30 yards. The REDBLACKS responded on the very next drive. Facing a 2nd & 19, Davis found Julian Feoli-Gudino, who made a man miss and got the first down. On the next passing play, Davis found Feoli-Gudino in the end zone with a well-placed 23-yard pass. Davis stayed out converted the two-pointer by passing to Anthony Gosselin. 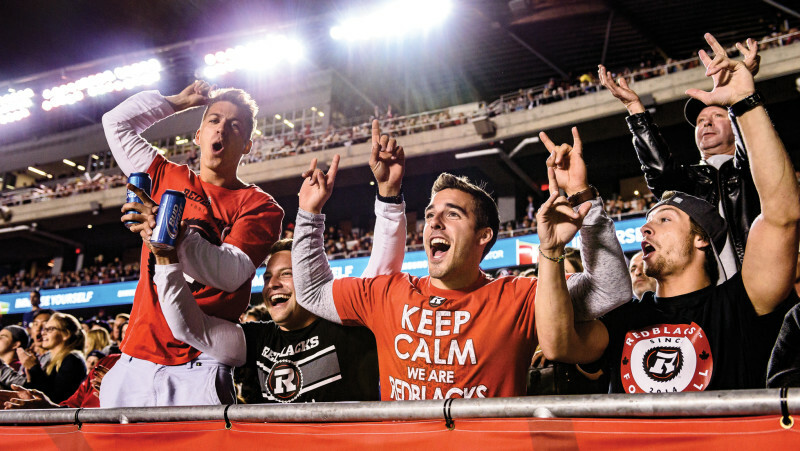 The Argos closed the half with another Brown field goal, but the REDBLACKS held a 12-6 lead going into the break. Both teams switched quarterbacks at the half. Danny Collins replaced Dominique Davis and McLeod Bethel-Thompson took over for James Franklin. The changed paid immediate dividends for the Boatmen, as Bethel-Thompson helped them to the red zone and Brown kicked his third field goal. 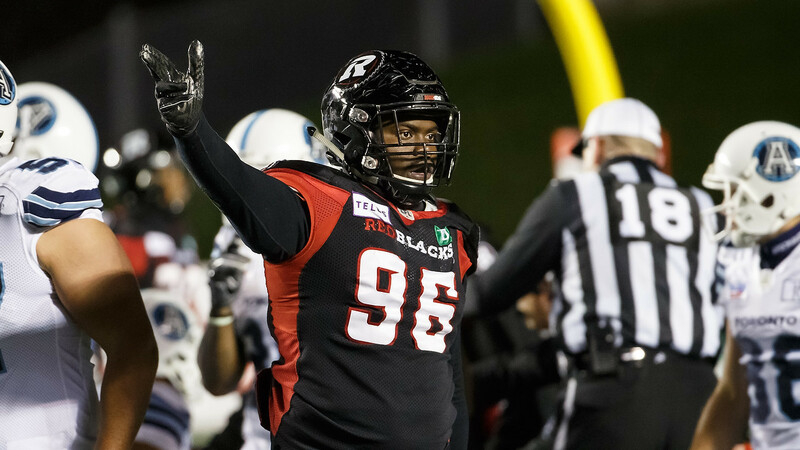 The change was not as successful for Ottawa, with Collins’ first pass being intercepted by Trumaine Washington and brought back deep into REDBLACK territory. However, the call was overturned due to a pass interference call. A defensive struggle ensued in the third quarter and Ward made the score 17-9 midway through. Rico Murray notched his fifth interception of the year in the closing stages of the third, giving his team excellent field position. Mossis Madu punched it in from the goal line moments later to give Ottawa a 24-9 lead. The fourth quarter was scoreless, as the defences held firm. It has now been ten full quarters since the REDBLACKS defence gave up a touchdown. They also forced six turnovers on the day. 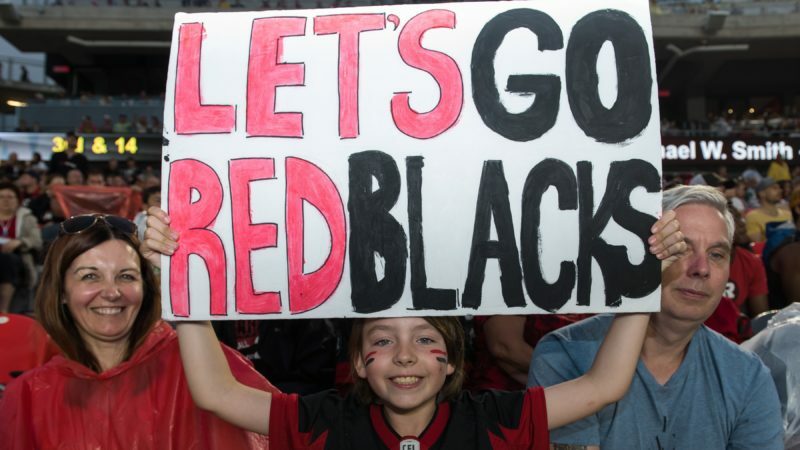 The REDBLACKS (11-8) will now get a week off before taking on the winners of the East semi-final between the Hamilton Tiger-Cats and the B.C. Lions. The East Final goes Sunday, November 18 at 1:00 p.m. at TD Place. The Argos end their season in the cellar of the East Division at 4-14. Numerous key players were rested for the REDBLACKS, including Brad Sinopoli, Diontae Spencer, Greg Ellingson and William Powell. Trevor Harris was on the roster, but did not take the field… S.J. Green surpassed the 1,000 receiving yard mark in the second quarter for the sixth time in his career… The REDBLACKS limited Duron Carter to 47 yards and zero receptions.